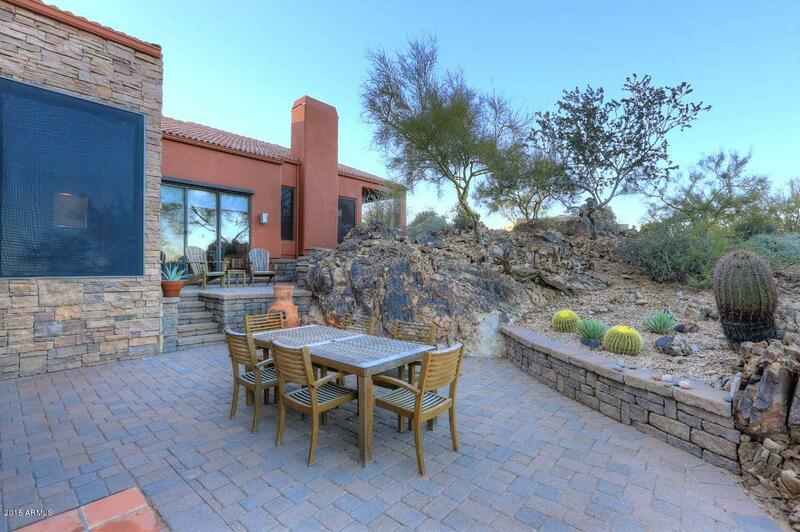 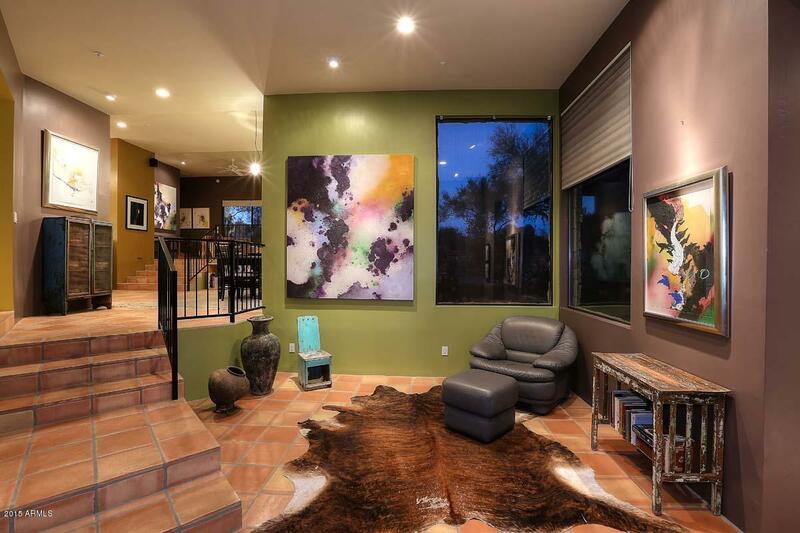 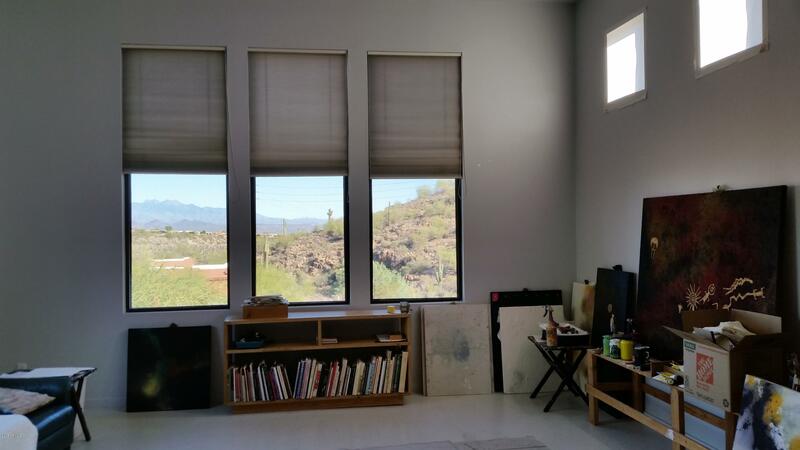 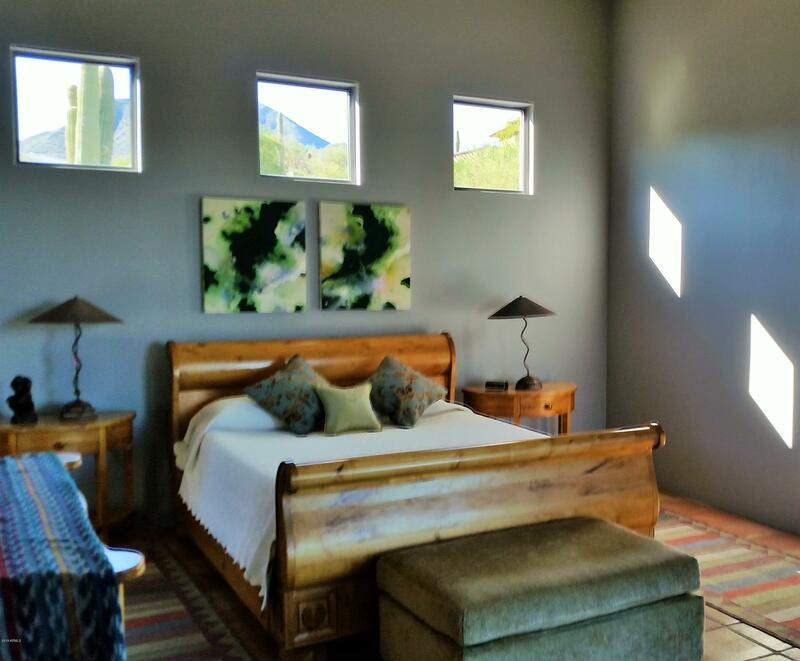 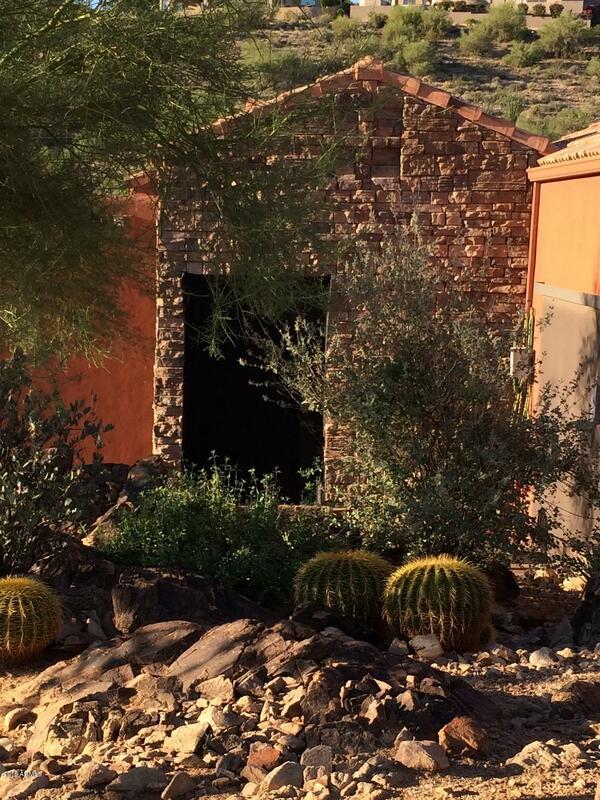 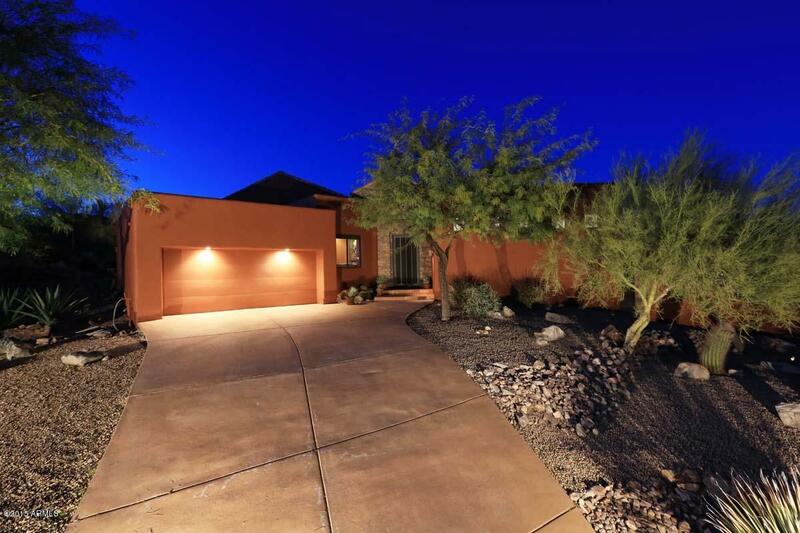 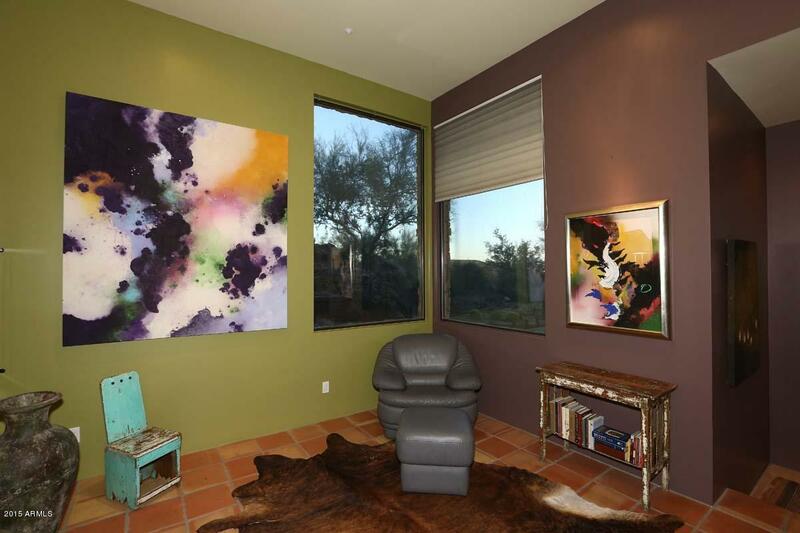 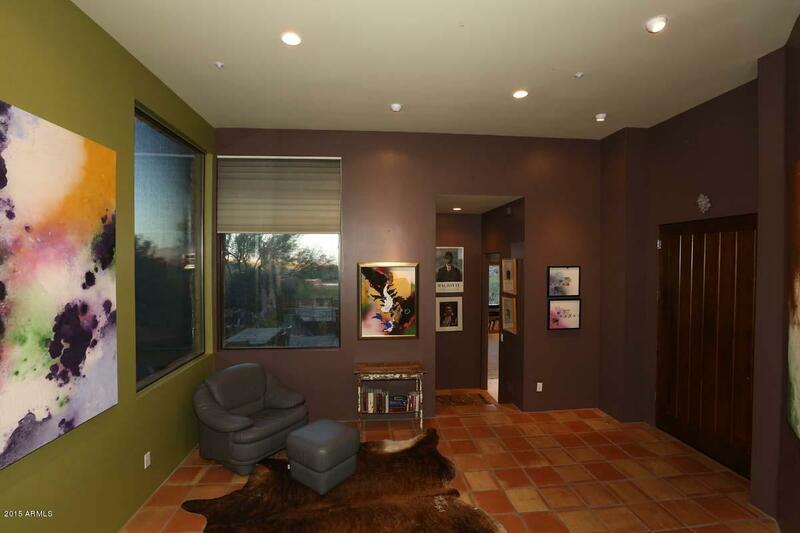 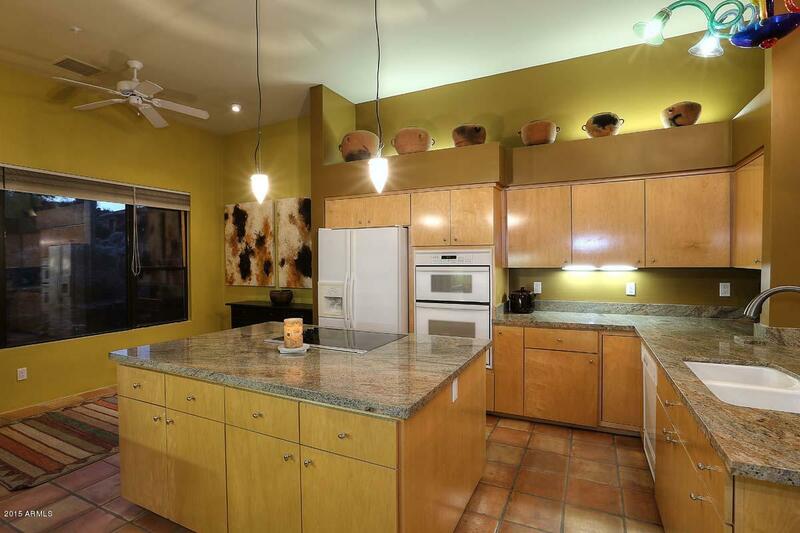 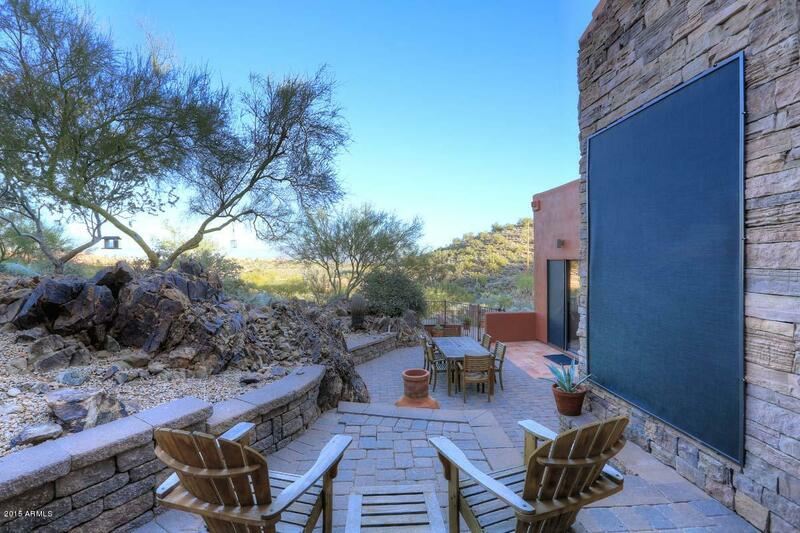 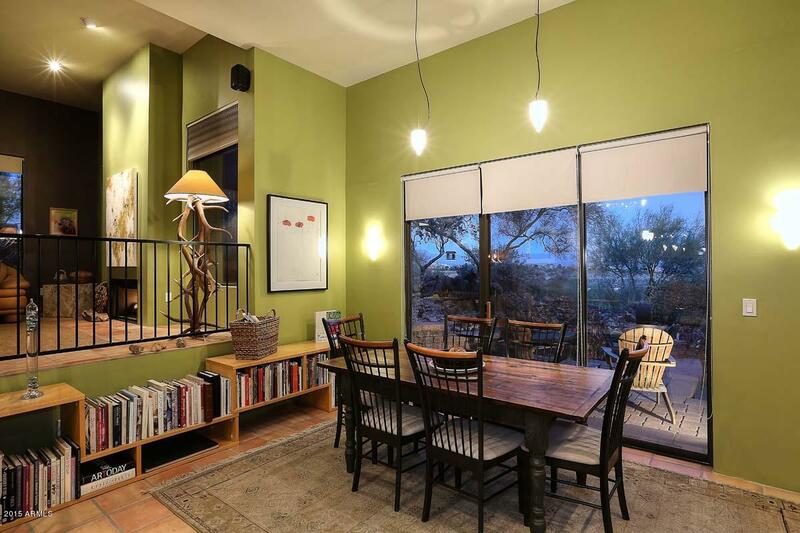 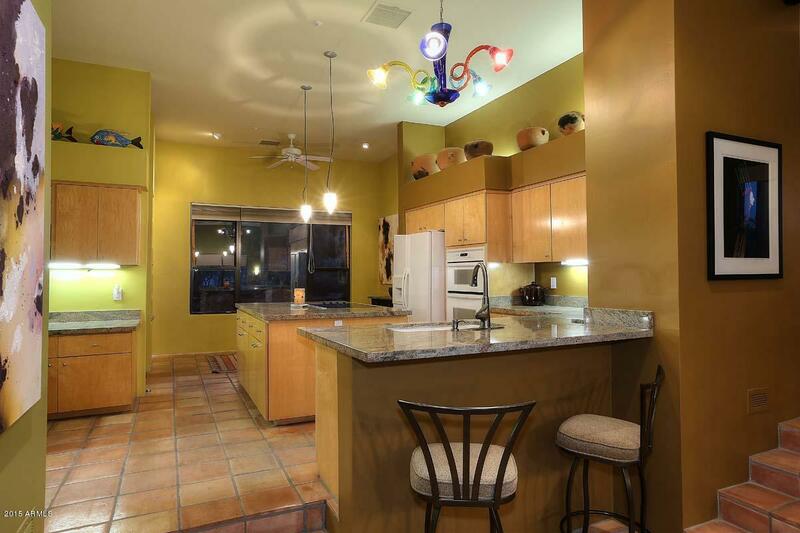 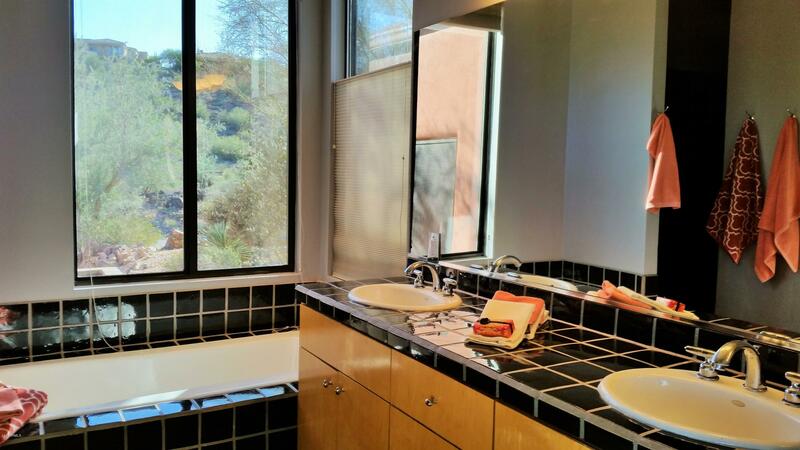 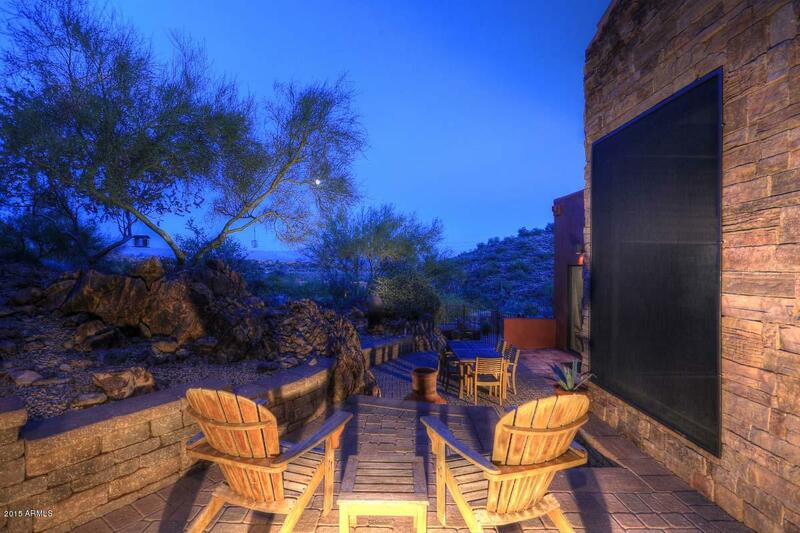 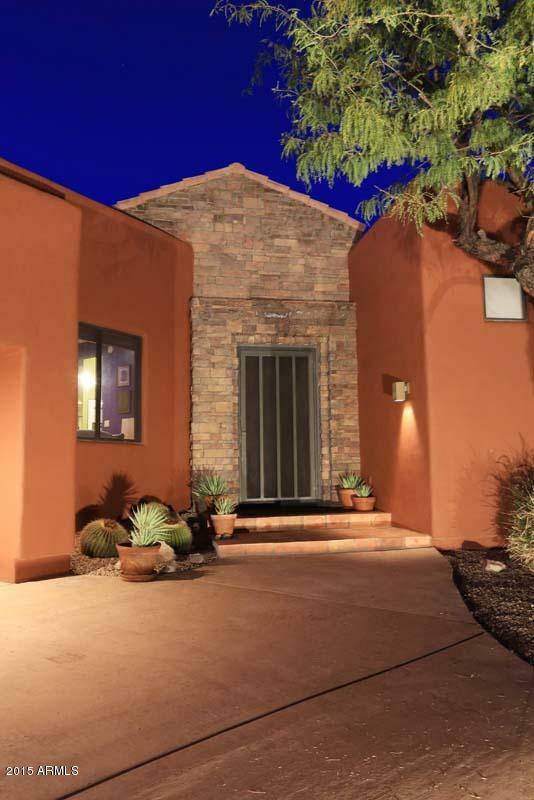 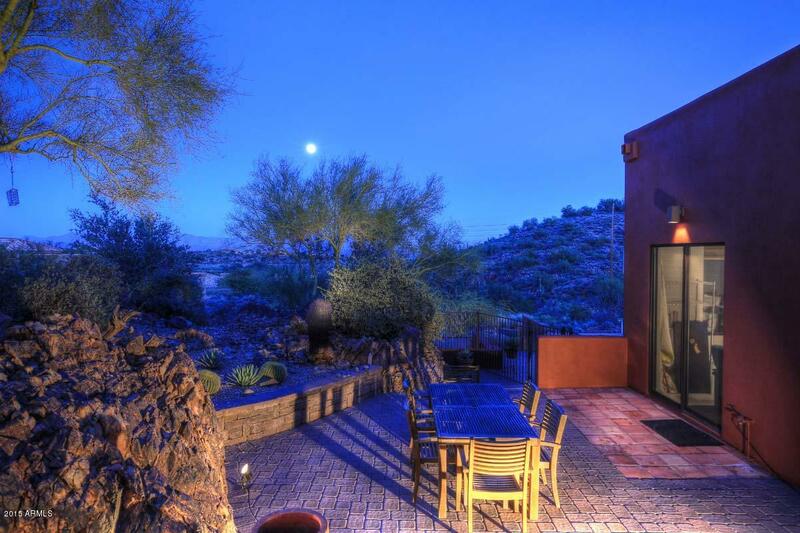 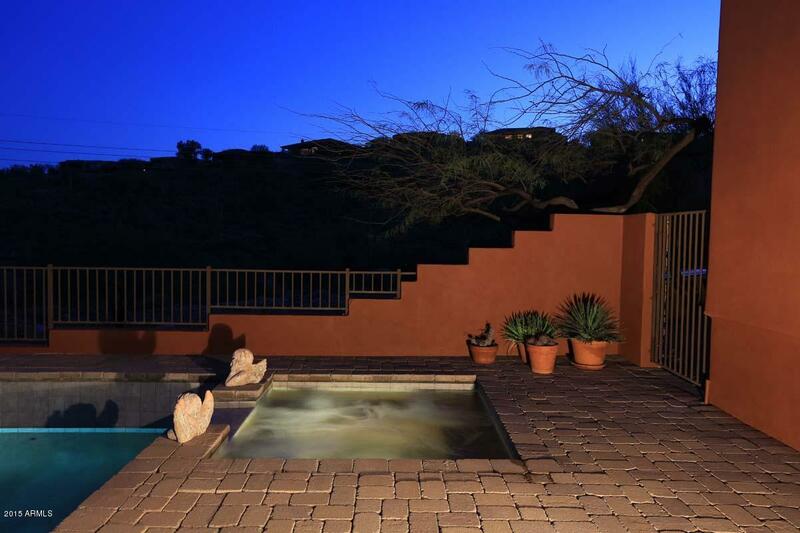 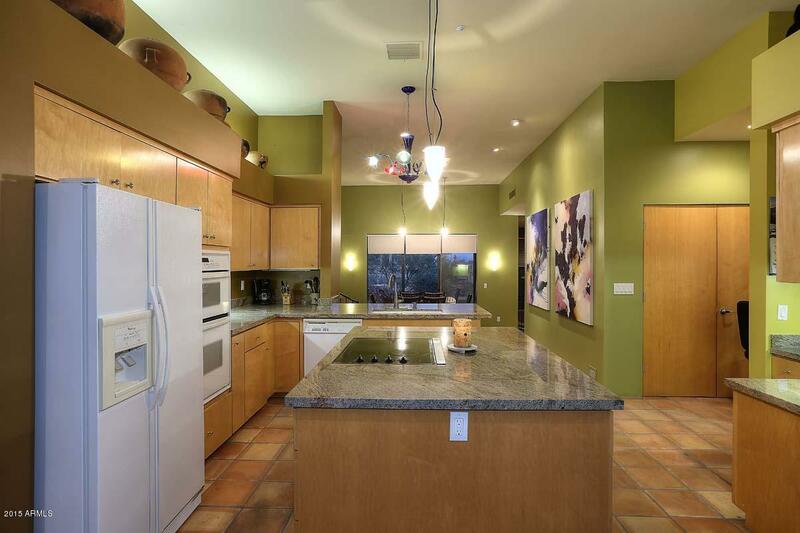 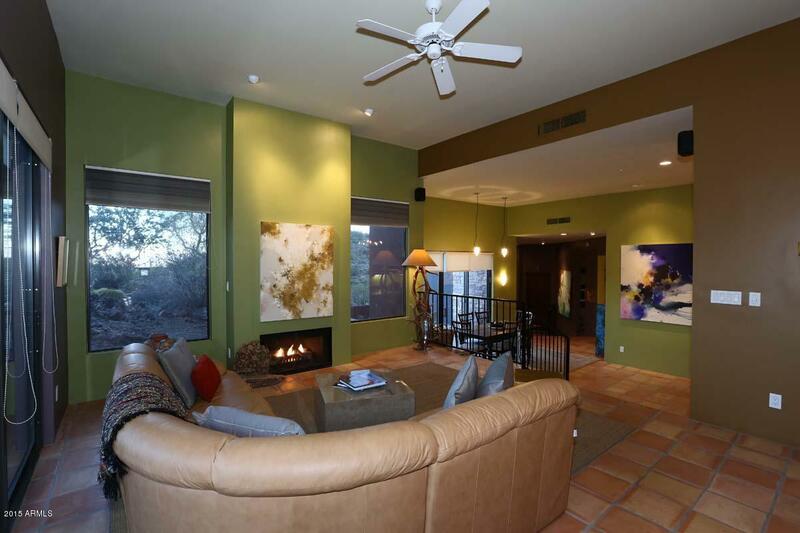 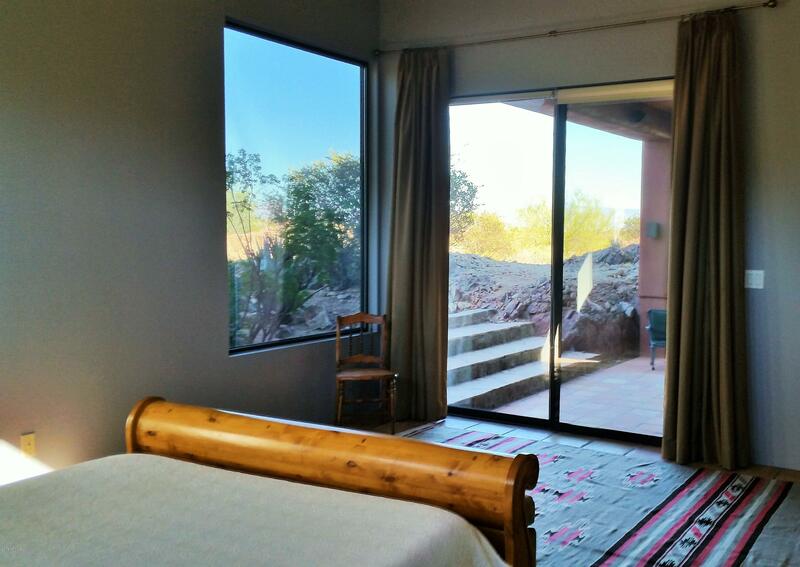 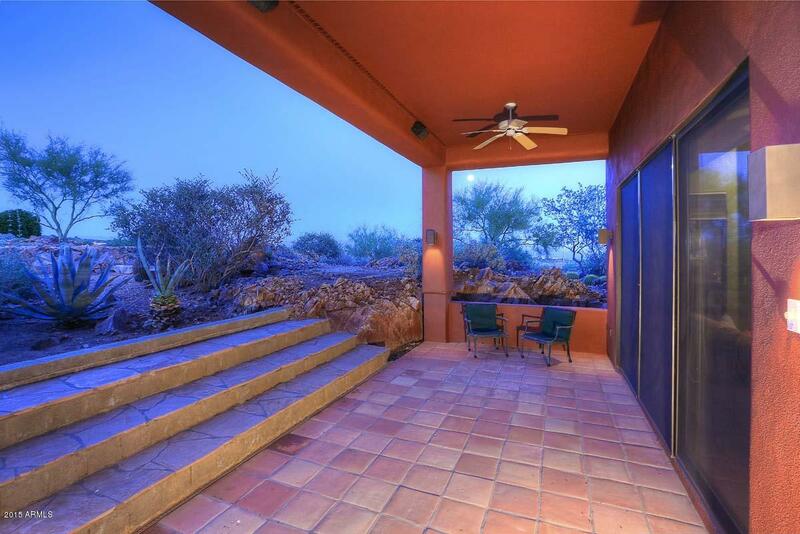 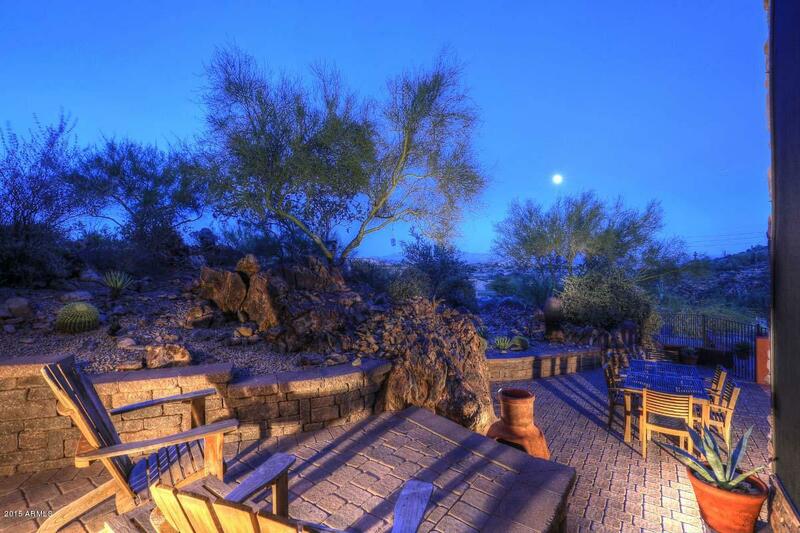 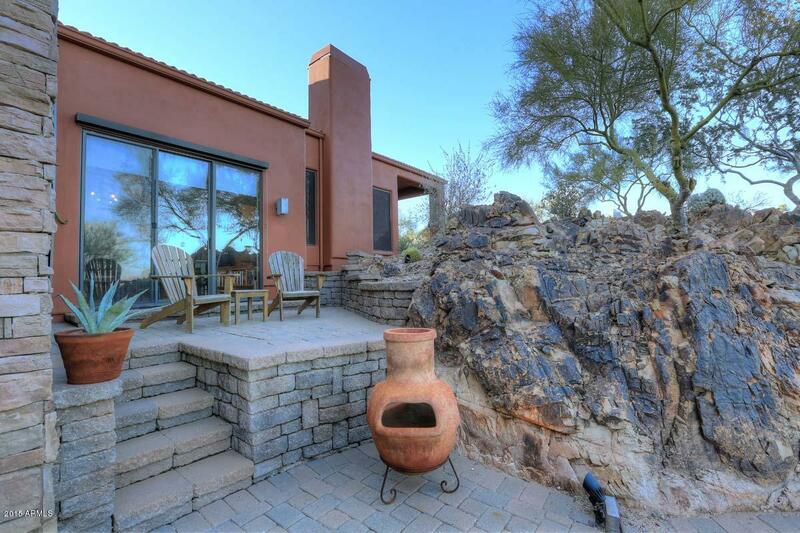 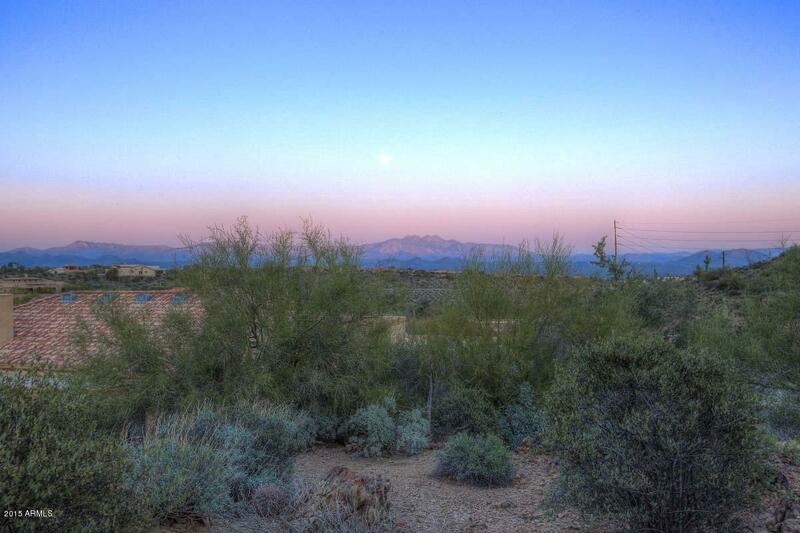 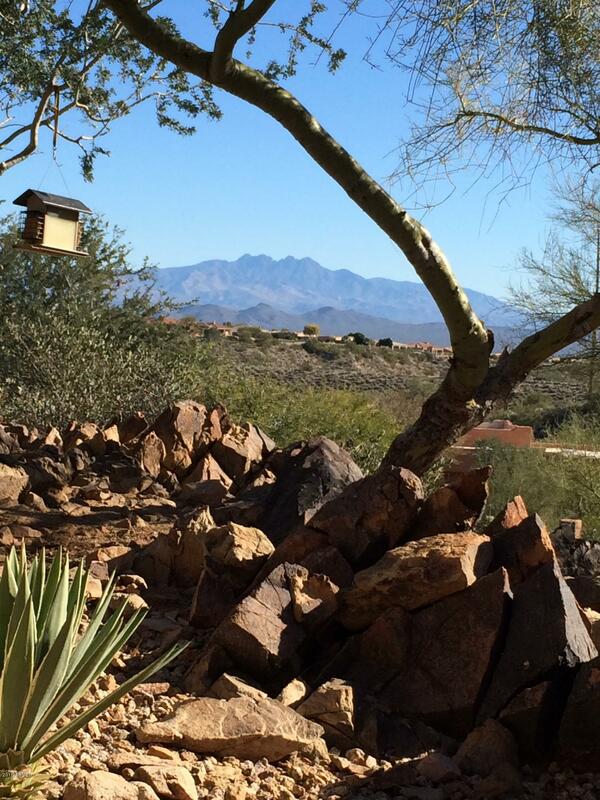 Picturesque Southwest Contemporary with Mountain Views! 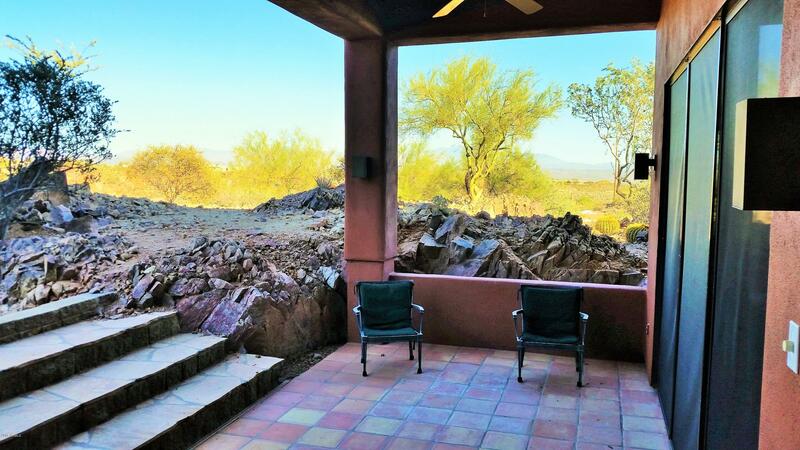 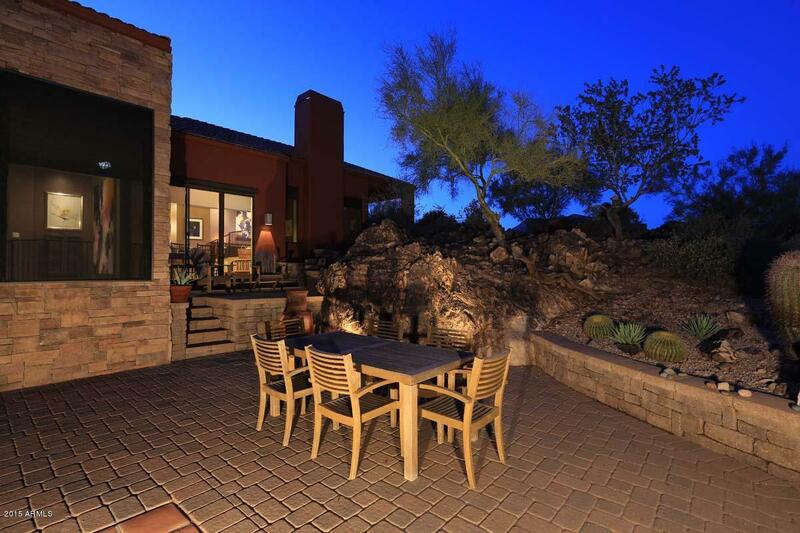 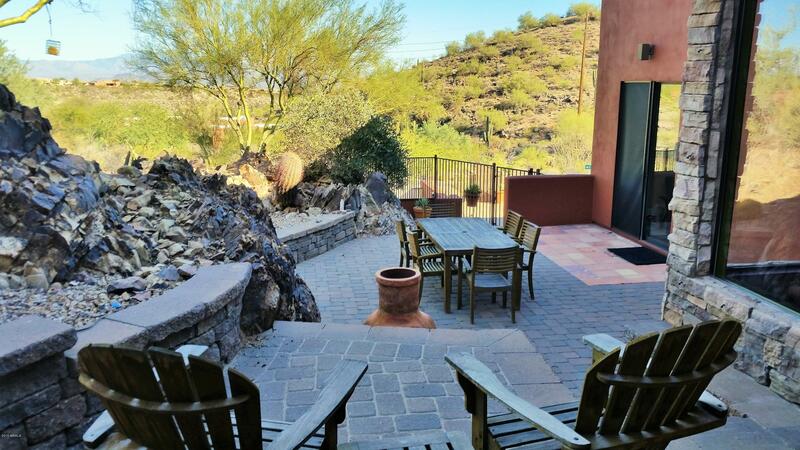 Ensconced amongst natural rock outcroppings, native vegetation and indigenous shade trees, this home offers relaxed, independent and secluded outdoor living areas for enjoying every part of our sunny Arizona days. 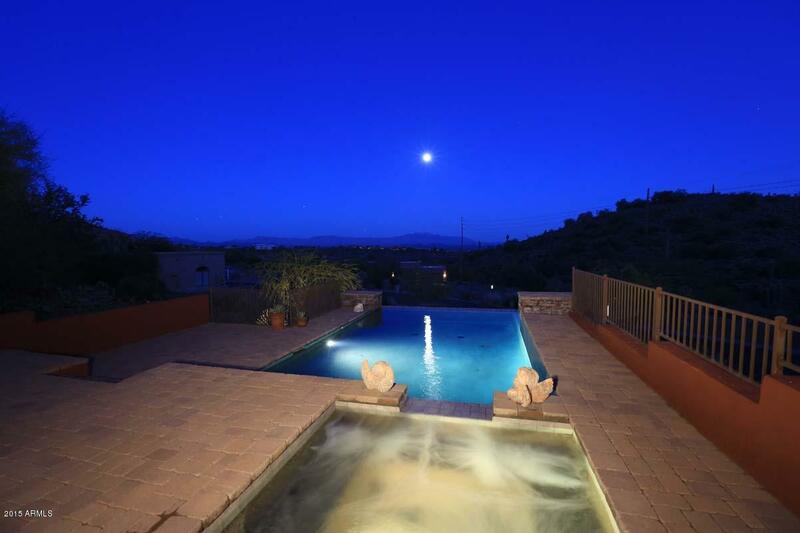 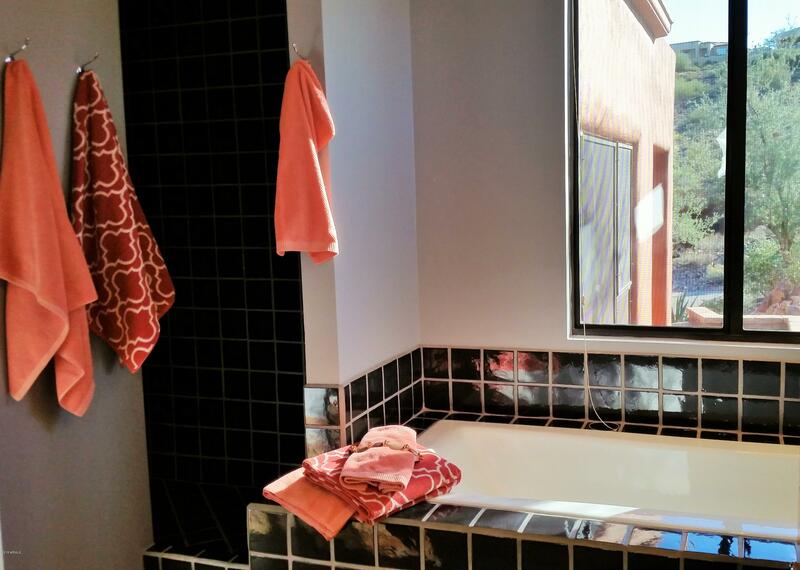 Unwind and revel in the panoramic mountain views from your private salt-water, pebble-tec, heated pool and spa. 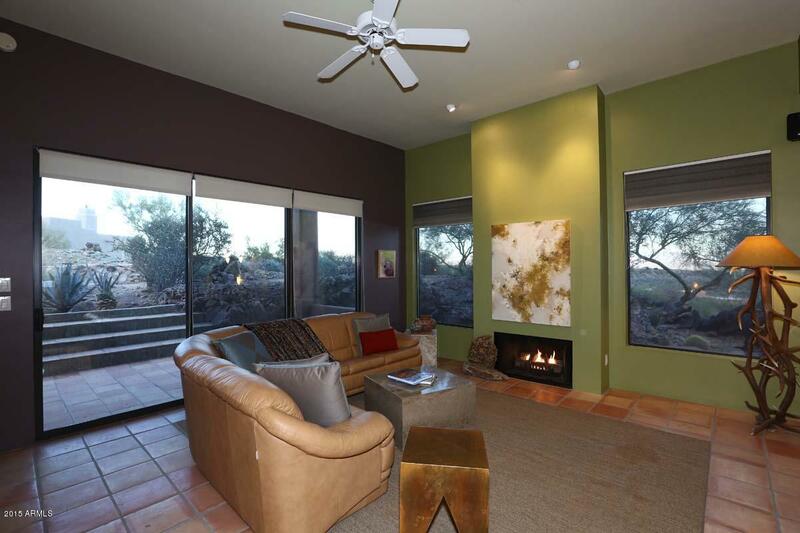 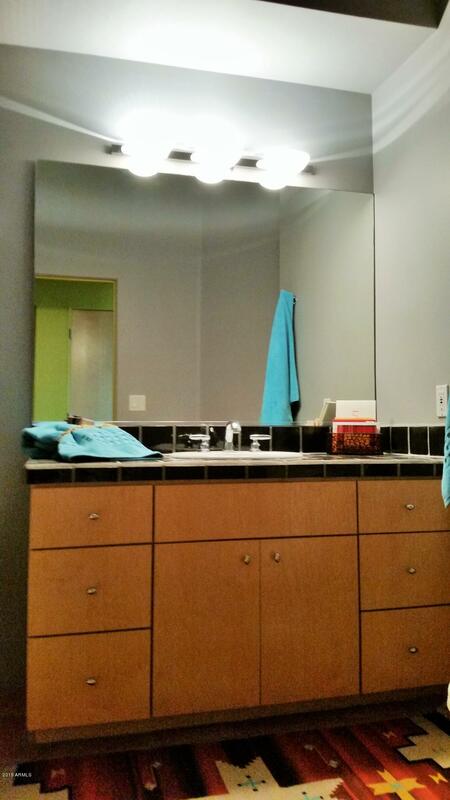 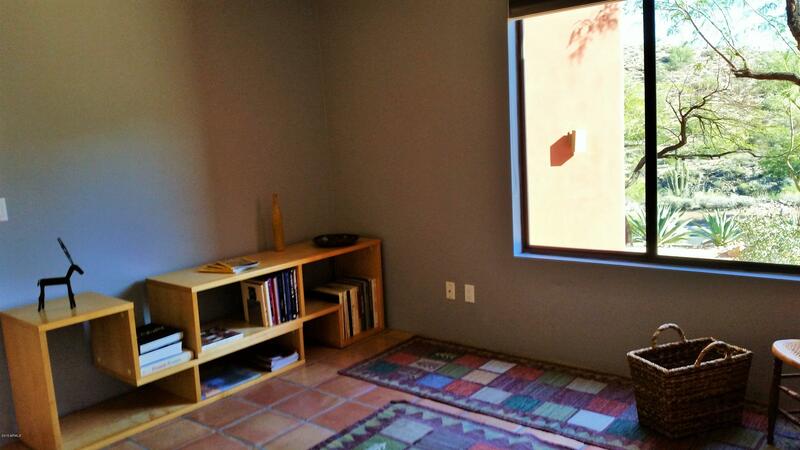 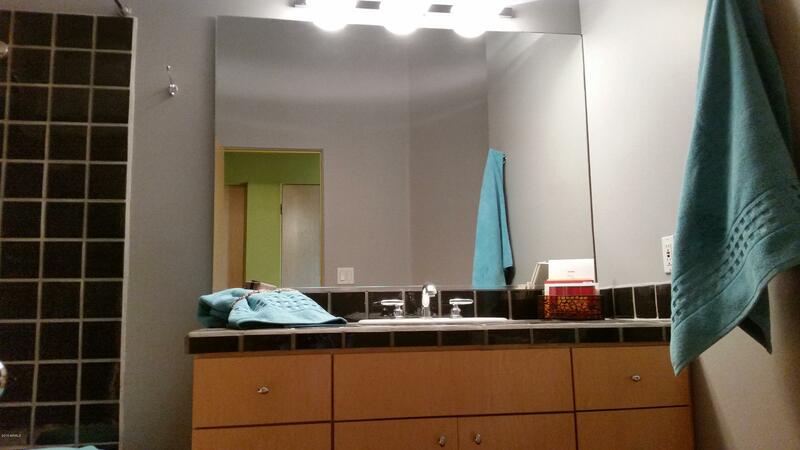 Inside be greeted by a friendly open floorplan with lots of natural lighting. 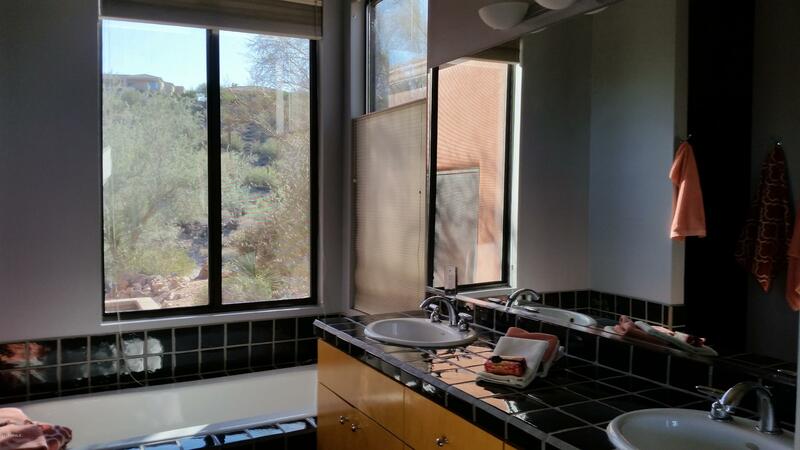 Several autonomous living areas consist of: a cozy living room with gas fireplace, dining area with beautiful views, 2-guest bedrooms plus a split master bedroom with separate tub and shower.